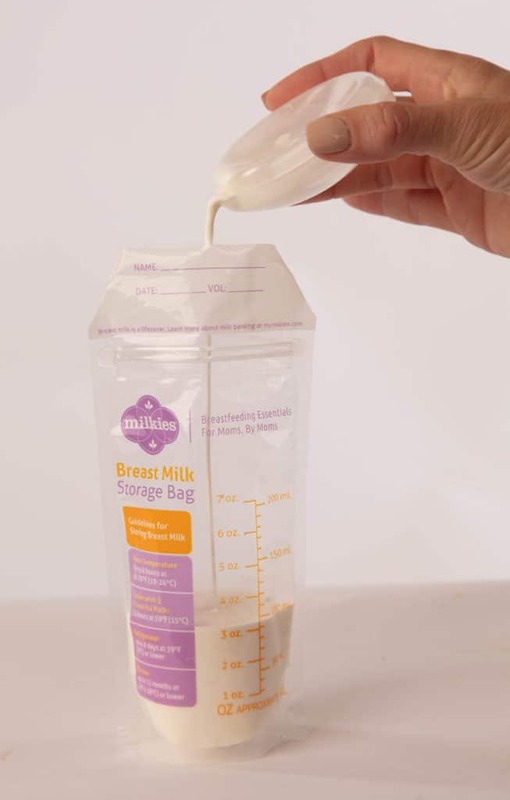 Milkies Breast Milk Storage Bags features reinforced sides so the bag won’t break in the freezer, and a double zipper closure so your milk won’t leak out. 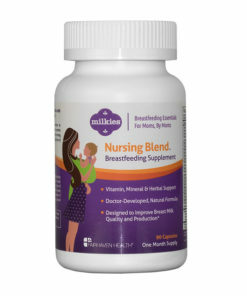 Milkies Breast Milk Storage Bags were designed by moms who understand the challenges of pumping and storing milk. We created our Milkies Breast Milk Storage Bags with reinforced sides so the bag won’t break in the freezer, and a double zipper closure so your milk won’t leak out. 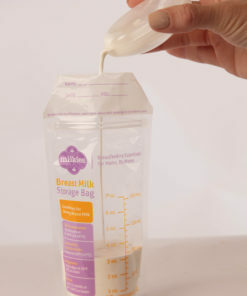 Milkies Storage Bags also stand up so you caneasily pour your milk into them without spilling a drop. The Best Testimonial We Could Have Asked For! Our Milkies Breast Milk Storage bags are designed to hold up to 200 ml of milk – which is a little more than 6.5 ounces. Each bag is measured in ounces and milliliters, so you can know exactly how much you are freezing. 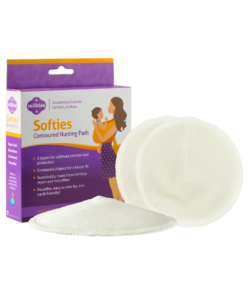 Are there holes in the top of the bags to hook to a breast pump adapter that enables you to pump directly into the storage bags? 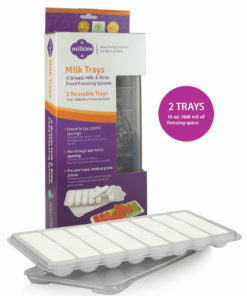 Seals well without leaking – love the milk storage organizer. Makes it easy to know which bag to use first. Yes, they’re very durable no-leak bags for sure! Thanks for sharing your experience with them. 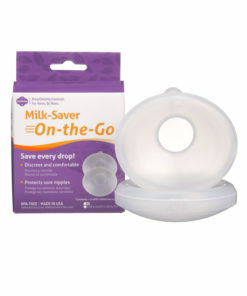 Easy to use and hold lots of milk (I can put up to 8 ounces without spilling or difficulty closing the bag). Thanks for your review, Kolina. Glad you’re liking the Storage Bags… we tried to make the bags we wish we’d had when we were breastfeeding! 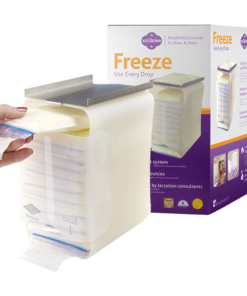 I find these bags helpful in storing breast milk and the indication label helps tell you how much you have pump into the bag and freezing is a breeze! It’s better than the other storage bags. I have tried many different kinds of bags and these are by far the best! Won’t be using any others after trying these! Strong plastic, great value. I use mine every day. Worth the buy for sure! Love the storage milky bags but the ounces is wrong.. Just disappointed about that.. I have yet to thaw any of these so hopefully leaking won’t be an issue like some storage bags. They do seem to be very strong bags. They do need to have a better perforation to open the bag. It tends to rip off unevenly. I’ve also had the permanent marker rub off after writing which was odd. That doesn’t happen with every bag but it happens. Love how flat they lay and freeze. If thawing goes well these will likely be my most used storage bags. These bags look great on the web site but they don’t work well. The tag on top is to flimsy to keep track of the dates. When freezing this bag take up way more room then other bags. When using it to Measure the ounces in each bag it’s off all the time. U really need to use a measuring cup to get the proper amount in the bag. Also the bag never opens by its self I’m always trying to get the bottom to open up so I can stand it up. I’ve put in 4 – 5 oz at a time and it still doesn’t open. I was really looking forward to using these bags, but I will not spend the money for these anymore. Sorry. Very satisfied with these bags. They seal properly and don’t leak. I purchased the bags with the measurements that were printed incorrectly on the bags, but I just measure the milk in the pump bottle beforehand and write it in on the bag. I would definitely recommend purchasing these!